WordPress by default does not include the ability to automatically link related posts together. It’s unfortunate because the vast majority of Related Post WordPress Plugins I’ve tested (tested a LOT) get it wrong, not from an SEO perspective per se (most aren’t great SEO wise, but they are OK), but inefficient in the way they generate the related posts (poor PHP coding/database management) which means we can’t use them since page speed is an important SEO metric and most related posts plugins slow a site down. If the WordPress core team added a related posts feature it would be efficient, maybe that’s why there isn’t a WordPress core related posts feature? One related posts plugin I used to use on almost all my WordPress sites added around 20 database queries on Blog Posts and Static Pages (where the related posts are output) and over 100 database queries on archive sections of the site (home page, categories, tags etc…) even though the plugin didn’t output anything on those sections of the site (archives don’t have related posts). One WordPress Plugin adding 100 database queries for no gain is BAD for your visitors experience and for your Google search engine rankings because it will slow down the loading of your site. Google was dropping hints as early as 2010 that page speed (how fast your site loads) would be an important SEO factor in the future. As I write this it’s 2014 and the future is NOW, Google is taking page speed into account. With Google search rankings moving towards page speed being an even more important factor in the future (especially for mobile search results), WordPress site owners have to look at their sites speed performance. 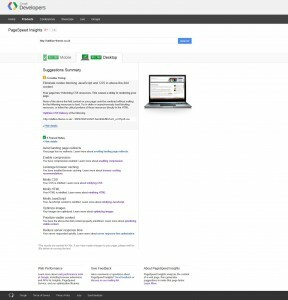 See my Google Page Speed Insights Rating using the Free Google Page Speed Insights Tool. At the time of writing (February 2014) my home page scores in the 90s which are very good results (see the screenshot to the right). My site runs under the Stallion Responsive Theme (I develop the theme) and a few select plugins. Been meaning for sometime to rewrite the related posts plugin I used to use to make it more efficient, but haven’t got around to it and as I’ve updated my WordPress sites I’ve stopped using any related posts plugins (as I’ve maintain a site I turn the related posts plugin off). Since page speed is important to Google had to turn the related posts feature off until either someone develops an efficient SEO related posts plugin or I fix one. Instead I try to link related posts together both internally and externally (I link related articles on other sites I own together) manually. Manually adding links to related posts is very time consuming, but from an SEO perspective it is almost always the best option. More time you put into something, better the results usually. You can see at the bottom of the main content of this post (before comments start) a set of links to the other WordPress SEO Tutorials. The theme I develop includes a widget area there (that widget area only loads on Posts and Pages) and the ability to select which posts/pages a particular widget should load on. The tutorial links are added via a Text Widget and it’s set to only load on posts under the WordPress SEO Tutorial category. Load a post from another category and those links won’t load. When I get the time I’ll probably setup a similar set of links linking the posts in the WordPress SEO Plugins category together. 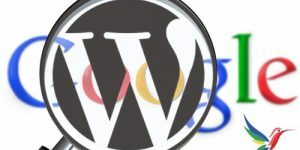 The above isn’t the only way to add links to related posts manually, I just added two text links to the WordPress SEO tutorial category and the WordPress SEO plugin category above which though not posts, are related pages on this site. When linking to related posts (pages) the idea is to try to use anchor text (this is a link to a related post, another section of the WordPress SEO tutorial) that helps the page you are linking from and/or the page you are linking to. The keywords of the link above “anchor text” aren’t very important to this pages SERPs, but they are very important to the page the link above is linking to (it’s a tutorial about anchor text). No WordPress related posts plugin can do a better job linking related posts together than a human as long as you don’t mind putting the time in. If you have the time do it manually and if you do it via text links (or image links) it will not have a negative impact on your sites page speed metrics. Also check how many database queries it adds to different sections of your site, with the Stallion Responsive Theme I added some basic query tracking code to the footer (built into the theme) that only loads for logged in users (no reason for all visitors and search engine bots to see it) so I can view the results quickly when testing new plugins etc… The home page of this site for example tends to use 50-60 queries. Not a Stallion Responsive user, edit your footer.php file and add this above the closing body tag. Only your logged in users will see it’s output, you’ll see the database queries used and memory usage. It’s a really quick way to check if a new plugin is poorly written and generating a lot of database queries: a lot of queries can cause a site to load slowly. 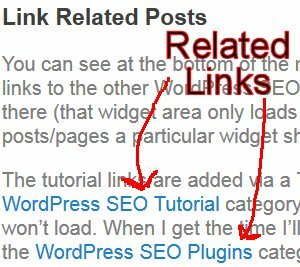 Avoid using related posts plugins that link to other WordPress blogs, if you install a plugin that automatically links to related articles and they link back, you’ve just created a link farm! Google bans sites that are considered link farms, so don’t use plugins that automatically link your articles to related articles on other sites. There’s lots of services that offer this sort of linking, there’s a lot of reports in the various forums how their users have had their sites banned or penalized in Google. It’s not worth the risk on an important website, and those willing to risk it are probably not running quality websites: do you want to link to low quality websites? If I switch the theme to Talian from Stallion, the plugin works fine, no repeating. Would you please check it out and how i can fix the repeating related posts? There’s built in support for some WordPress Related Posts Plugins, for example the Contextual Related Posts plugin I made an SEO version free download at WordPress SEO Plugins that fixes a code error in the original plugin, also changed the default settings to be better SEO’d (if you use that one there’s no setup needed, just activate and Stallion does the rest). I’ve added built in code for two WordPress related posts plugins, looks like the Yet Another Related Posts Plugin uses the same hooks as one of them and so is using the Stallion built in code. What you’ve done is set the option for the plugins to automatically insert the code below the post, that’s the one with the heading “Related Posts”, the one lower down with heading “Related Articles to Title of Post” is the Stallion built in version (better SEO’d). If you turn off auto insertion the top one (not as well SEO’d) will be removed. For the Contextual Related Posts plugin I advise downloading my SEO version (which has a code fix) and using the reset to defaults option, this will set the SEO defaults I’ve added and you’ll have SEO’d thumbnails etc… and only one version of the related links. When I was checking out related posts plugins I didn’t like the Yet Another Related Posts Plugin, forget why. When running the Contextual Related Posts plugin be aware it can generate a lot of extra database queries on the home page, especially if you add more than 10 archived articles on the home page. Looks like the plugin author has the related posts plugin grab the data for the related articles to all the posts on the home page (by default 10), which is not needed since you don’t show related posts on the home page (basically needs a code fix so it only works on posts and pages). When logged in check your home page at the bottom, will indicate the number of database queries, turn the plugin off an on and compare, if it adds a lot of queries that slows the site loading don’t use it. Added database queries to the footer of Stallion so we can do quick checks on plugins etc… I was using a folding categories plugin on a site with 65,000 posts that was adding hundreds of database queries to all pages! Damn shame you can’t use the Contextual Related Posts plugin on every site as having thumbnails is a good SEO feature, I use that plugin on sites that either don’t have many articles shown on the home page (you can set it to less than 10) or has a static front page. 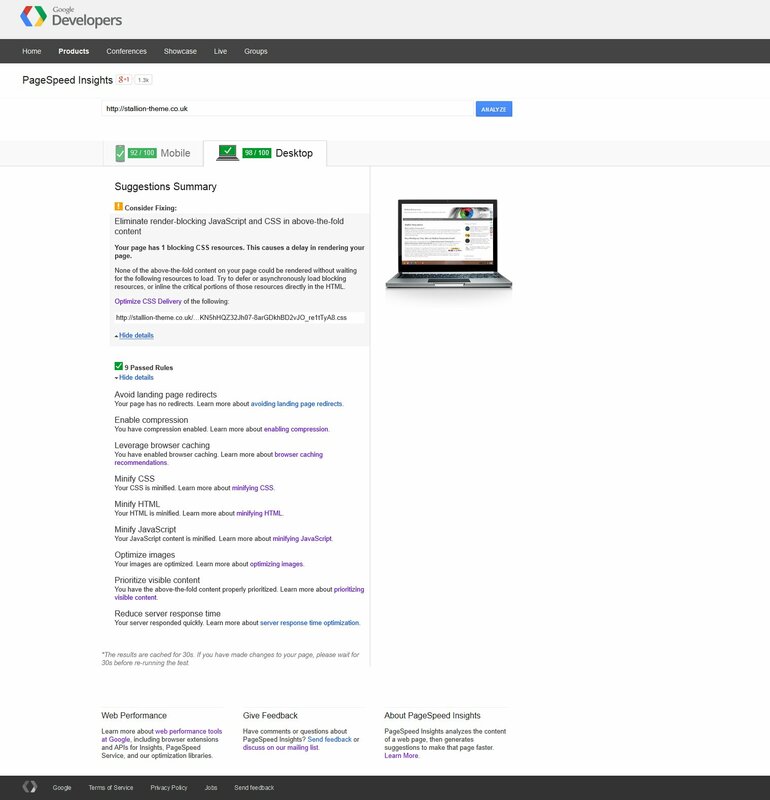 For autoblogs the database overheads are too much, so use the other related posts plugin from WordPress SEO Plugins. I have been trying to optimize my related posts the last couple days, and came up with a few ideas that might be helpful for those who are running this plugin. Some of these may be obvious to people who have spent more time with this plugin, but for others who maybe never paid as much attention to the settings (that was me :) ) these may be helpful. 1) Set cutoff period to later (the “Related posts should be newer than” setting). I noticed lately that some of my pages were showing less than the 4 related posts that I have set as a maximum. Some were even showing one or zero. In the “General” settings I had this set for a 1095 days cutoff time (3 years) which I believe is the plugin default. However I created a lot of evergreen content 4 years ago which generally gets a lot of views, and which I realized was now being excluded from related posts since it was beyond the 3-year cutoff period. By setting the cutoff period longer (in this case, 1825 days or 5 years), posts which had few related posts before began showing the full 4, and those evergreen posts were now included again. I guess I’ll have to remember to set this back later, or maybe even just increase it to something like 10 or 20 years to make sure these posts stay in the related posts circulation. 2) “Find related posts based on content as well as title.” I had this off, meaning the posts which were being generated as related posts were sometimes only lightly related to the primary post. By switching this on, I believe the related posts now generated are more closely related to the primary posts and thus potentially more engaging for the reader looking for something to click on after finishing the article. 3) “Cache output.” Related to 2), I did not have the cache output enabled. The plugin author recommends enabling this if you are going to use the “find related posts based on content” setting mentioned above. After checking before and after, after enabling all of these settings, both the queries and time each page requires is now the same or lower than what I was getting before I made these 3 changes. For those that are running this plugin and haven’t dug into the options, maybe this will be useful. It does seem that the cache output option helps. I am also running a general cache plugin (Hyper Cache) but may be switching to Total Cache.